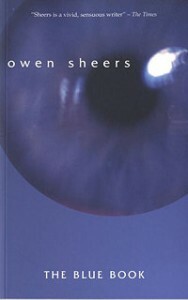 The Blue Book, this vivid and potent debut collection from Owen Sheers is populated with characters trying to come to terms with themselves and others and with the difficult journeys they find themselves taking. It is a moving experience, which he makes sense of in finely wrought verse that is tough, but also lyrical. A distinctive new voice for the year 2000. – Neil Rollinson. Owen Sheers’ first collection drills into a consciousness imbibed with the legacies of the past. At once an exquisite observation of the life-affirming landscape that surrounds him, Sheers’ poetry decries the fruitless cruelty and suffering caused by human frailty. The ghost of death looms large in many of the poems, where memory and language struggle to contend with the enormity of emotion. And yet, Sheers’ own language is driven by the need to get to the root of physical life and emotion – his language is raw and organic, eschewing the traditional aestheticization of nature with sensual and faithful evocations. A personal quest to Fiji, the country of his birth, ends in a duality of loss and permanence. 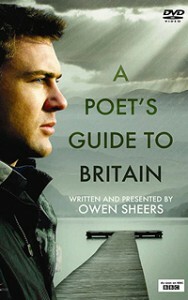 To read the Blue Book is to be faced with the often uncomfortable but at once recognisable feelings that surround life, death, love and loss, and in his quest for a language with which to circumscribe these emotions, Sheers has produced a new collection of significant poetic value and resonance. 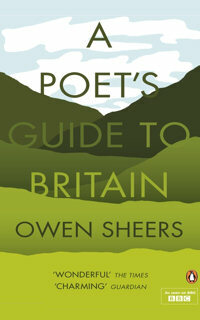 This impressive debut includes poems on a wide range of themes: from recollections of a return to Fiji, to sharper memories of an adolescence in a rural town in Wales; from dark ruminations on farm life to tender and unconventional love poems. 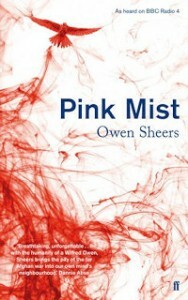 Owen Sheers has a talent for visual imagery, a flair for narrative and a grasp of the personal as acute as his awareness of the wider world. His astute portraits of relatives and contemporaries entice us into other lives.